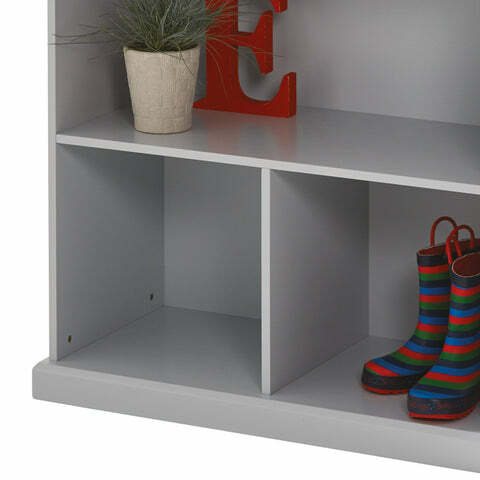 Abbeville Small Shelf, Cloud Grey | Great Little Trading Co.
You'll always have a home for this classic, cube storage, and its neat size means it works brilliantly in hallways and bedrooms, as well as play areas or family spaces. 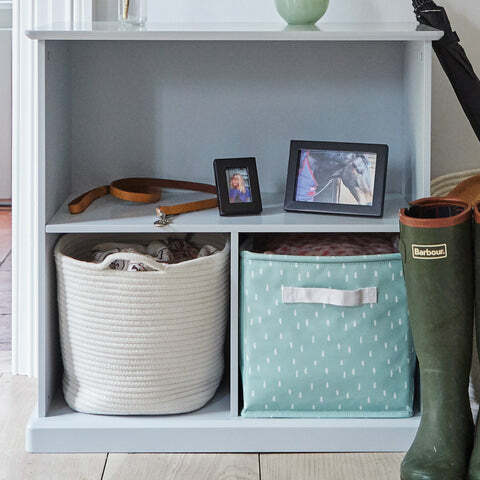 The top shelf is ideal for games and puzzles; use the compartments for magazines, books or toys. 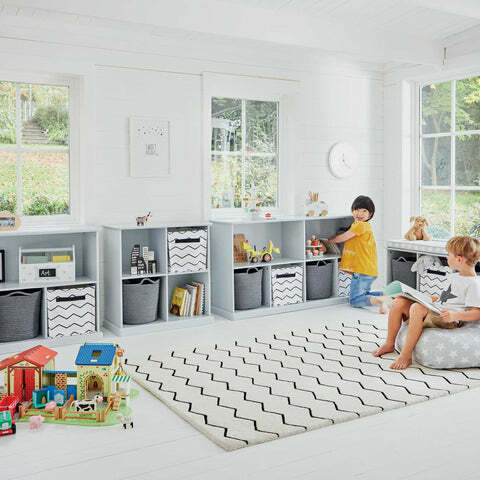 Like all our furniture our Abbeville Cube Storage is fully tested for use by children; it's made from thick MDF with a steadying plinth and a sturdy back panel, then painted with a durable Cloud Grey finish. In the interests of safety please always use the Anti-Tip Safety Kit supplied.